Despite the rainy season ending, we've actually had quite a bit of rain recently. When it does rain during these very hot humid days (humidity was around 80% today! ), mushrooms tend to spring up very quickly (pictured above and below). As a kid growing up in England, pretty much the only mushrooms we had were the white or brown button or larger portobella/o mushrooms. In Japan too, masshurūmu (マッシュルーム) refers to Western-style button mushrooms but for others the kanji take (茸) is used. This is pronounced "ta-kay" when used in a compound to describe the name of a specific type of mushroom - such as shii-take (椎茸) - but pronounced as kinoko when on its own. 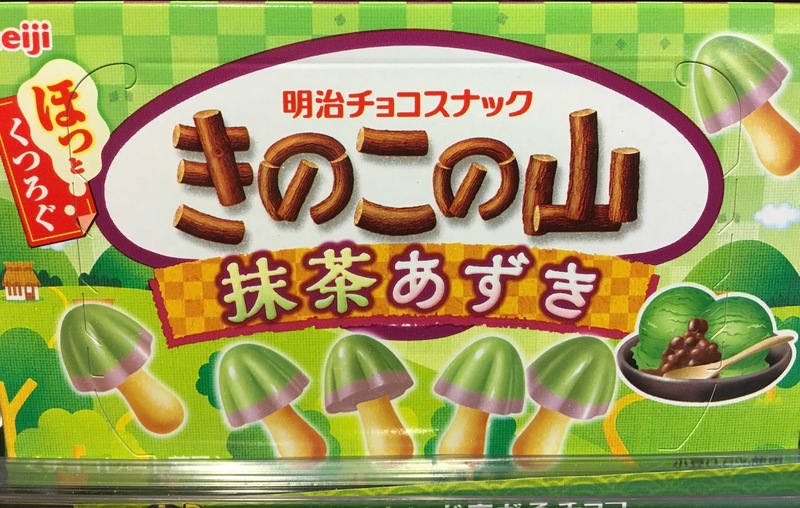 Kinoko is also the generic term for mushrooms - including button mushrooms - in general although it is often written as キノコ in katakana, the alphabet used for foreign borrowings. Just to add to the confusion, キノコ was originally written as 木の子 which rather delightfully means of "child of the tree." One thing that surprised me coming to Japan was the sheer variety of types of kinoko and the fact that Japanese regularly eat a variety of different mushrooms which they clearly distinguish and label. The picture below shows a typical supermarket selection which includes six common staples (see here and also here for a summary). One mushroom missing here is the matsu-take mushroom, gourmet mushrooms that often go for tens of thousands of yen: they are an autumn food and harvested between September and October. The interesting thing is that many of these Japanese mushroom names - especially shimeji, shii-take and enoki - are now also used in British and other supermarkets (though often prefixed with the word "exotic" signalling that the button mushroom remains the standard). The ubiquity of Japanese mushroom names abroad suggests that the humid climate makes for a perfect environment to grow mushrooms (apparently there are more than 5,000 varieties, only about a third of which have been classified and named). Is Japan the mushroom capital of the world?